← 2,000 Down – How Many To Go? When I was a teenager, we lived on the seafront in Cowes. The road was a short distance in from the waterfront but a side street led down to the sea itself and you could walk along from there in either direction, either along to Egypt Point or in to the town center. The railings that stopped you falling in to the sea (if standing up was not something you could manage on your own) were mounted between a series of posts and, on one of these posts, there was a sculpture of a lion. Clearly weathering had taken a toll on this lion but repairs had been carried out over the years. When I was there last year, we took a walk along this same stretch and it was great to see this familiar old fella still guarding the shoreline. 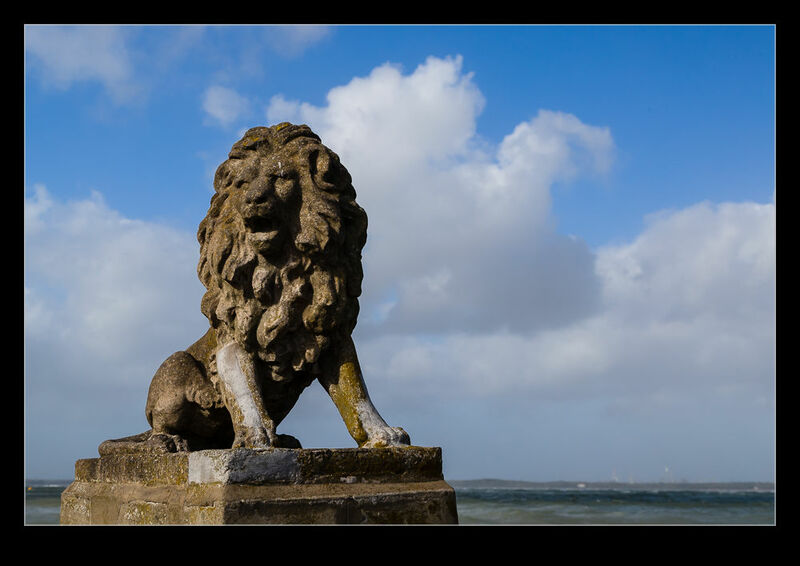 This entry was posted in photo, Travel and tagged cowes, isle of wight, lion, photo, sculpture, sea, shore, uk, waterfront. Bookmark the permalink.